MVQ has also reserved two evening sewing dates at the Salem, NH Library which is located at the corner of Rte. 97 (Main Street) and Geremonty Drive. These nights are Tuesday, Nov. 17 and Tuesday, Dec. 15. We will start as early as 5:30 or you can arrive anytime after that and we must be out of the library at 9:00 pm. 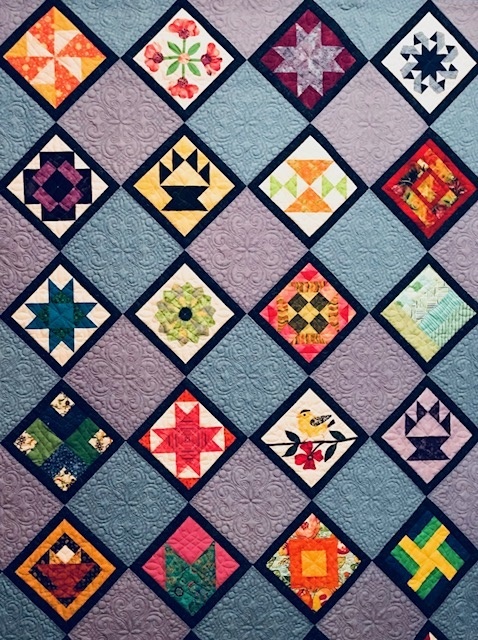 These nights are for any MVQ members who would like to get together for sewing, sharing and socializing. The room can accommodate about a dozen sewers. To reserve your spot or for more information, please contact Carol Sullivan at 603-893-5211 or casulli@comcast.net. This entry was posted in MVQ and tagged evening group. A beautiful Fall day- lots of people – we sold $105 worth of tickets and answered many questions about our guild and our show in May. Good publicity for the Guild. This entry was posted in MVQ and tagged Raffle Quilt.